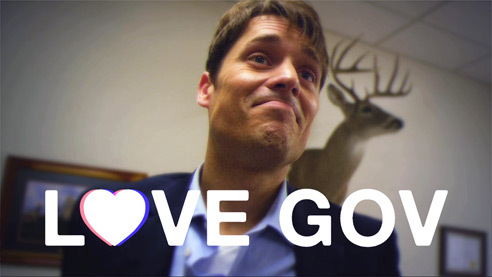 Love Gov, the satirical five-part video series produced by Independent Institute in association with Emergent Order, made its debut on July 6. Were delighted to learn that it is rapidly finding enthusiastic audiences. As of this writing, the combined viewership on YouTube, totaling each of its five episodes, is approaching the half-a-million mark. Telling the story of Alexis Smith and her pestering boyfriend, Scott Gov Govinskithe stand-in for every meddlesome government do-gooderLove Gov shows the human cost of the student-debt burden, job-killing workplace regulations, costly housing policies, bureaucratic healthcare, and privacy violations. Will Alexis come to her senses in time? Tune in to find out! And please share Love Gov with your friends on social media! The Love Gov video series also connects with the updated MyGovCost mobile app, a tool that helps users estimate their lifetime federal tax liability, their contribution to 17 federal spending categories, and the amount of money users would have amassed if they had invested the money they paid to the U.S. Treasury and earned a modest six percent annual returnthe American stock-market average since 1871. Modern civilization rests on the market economy, but economies cant work properly when government policies interfere with peaceful individual choice, entrepreneurship, voluntary cooperation, market prices, private property, and free enterprise. Such is the thesis of Choice: Cooperation, Enterprise, and Human Action, by Robert P. Murphy, a new book published by Independent Institute. Choice not only explains how a free-market economy raises living standards, protects human liberty, and fosters societal harmony and progress, but it also guides the reader through perhaps the greatest treatise in economics and social thought ever written, Human Action, by the Austrian School economist Ludwig von Mises. Many economics books have become bestsellers in recent years, but none do what Choice does and focus on the most fundamental issues: the proper method for thinking about economics; the importance of the division of labor; the role of market prices in economic calculation and resource allocation; and the ways in which government interventions such as tariffs, wage and price controls, mandates, and inflationary monetary policies hamper economic coordination and social harmony. Telemedicinemedical consultations via video chat technology such as Skypeis making huge inroads, thanks to the Mayo Clinic, Teladoc, and other cutting-edge healthcare providers. In 2014, video health consultations numbered 19.7 million, and by 2020 the number is expected to reach 158.4 million per year, according to the market analytics firm Tractica. But although its growth is impressive, telemedicine isnt reaching as many patients as it should, due to opposition from the American Medical Association and Medicare, even though telemedicine offers superior healthcare at a lower price than other alternatives. The official position of the [American Medical Association] is that doctors must be physically present with a patient in order to deliver appropriate care, writes Independent Institute Senior Fellow John C. Goodman. And Medicare wont cover the costs of healthcare provided at home. Blocking telemedicine serves the financial interests of most physicians, but it is bad news for patients such as 80-year-old Jessica Todd, a retired midwife who suffers from mini strokes and wears a device that automatically transmits data about her health to the Mayo Clinic. Technicians at Mayo monitor Todds condition and can intervene quickly if necessary. Todds example should put a human face on a reckless stance of government bureaucrats and special interests who oppose bringing high-quality, cost-saving telecommunications technology to serve millions more patients every year. Since its founding in 2008, Airbnb has facilitated short-term lodging for more than 25 million people in 190 countries. With that kind of successor disruption, to use a trendy termits inevitable that the company has made enemies as well as friends. As Independent Institute Research Fellow Abigail R. Hall notes in the Oakland Tribune, the traditional hospital industry doesnt appreciate competition via Airbnb, nor do state and local governments like losing out on lucrative hotel taxes. The city of Louisville, Kentucky, for example, is threatening to fine property owners up to $500 per day unless they stop renting rooms via Airbnb. City officials claim a moratorium on such rentals is necessary to ensure public safetyeven though Airbnb verifies the identities of property owners and customers do a good job of calling out substandard lodging in their online reviews. Such complaints are simply a smoke screen to protect revenues from hotel taxes, which can reach 17 percent of the cost of a room. Similarly, trade organizations such as the American Hotel & Lodging Association are spending huge sumsmore than $1 million last yearto get local officials to preserve their quickly eroding share of the hospitality pie. To most people, consumer choice is a good thing. To Vermont senator and presidential hopeful Bernie Sanders, however, this popular by-product of a free-market economy comes at the expense of genuine health and well-being. Case in point: On the day he announced his candidacy for the Oval Office, the avowed socialist told John Harwood of CNBC, You dont need a choice of 23 underarm spray deodorants or of 18 different pairs of sneakers when children are hungry in this country. In fact, as Independent Institute Research Fellow Sheldon Richman explains, such an imagined trade-off is false. Did 15 MillionNot 6.6 MillionPay Obamacare’s Mandate Penalty? Should the U.S. Ditch the Debt Ceiling?